9 May, 2017, New Delhi: After almost 15 years, the Union Cabinet recently approved the new National Health Policy, NHP 2017. Health is a state subject in India, though most State Government hardly have resources to invest in it. As an outcome of non-investment by the Government over the years, private sector has become the dominant provider of health services in India. 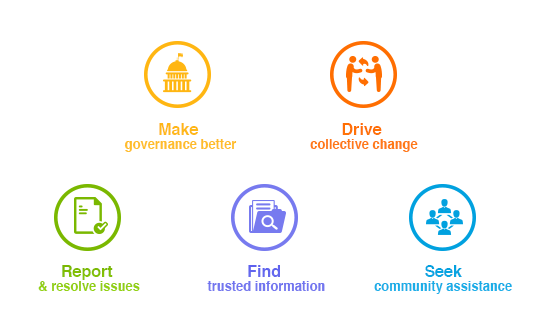 Citizen engagement platform LocalCircles endeavoured to understand consumer’s perspective on the healthcare system in India. More than 40,000 odd responses were received in the survey. 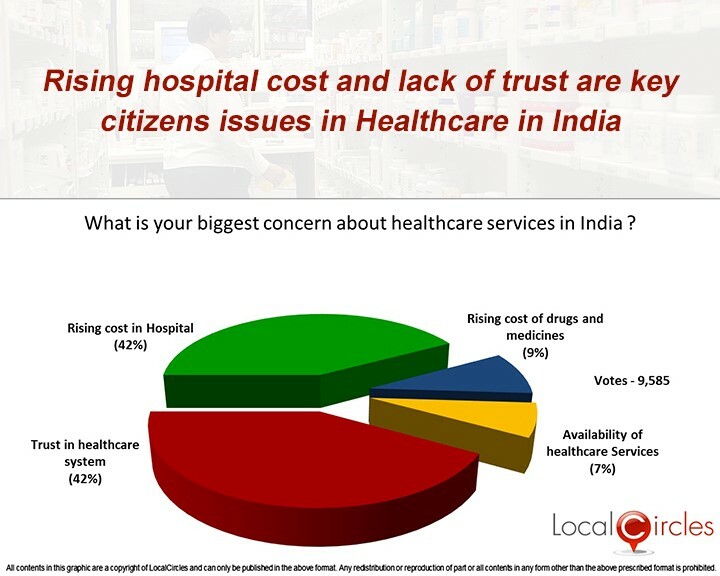 When asked what is their biggest concern about healthcare services, 42% said that they do not trust the healthcare system in India and an equal 42% said that the rising costs in hospitals was a concern for them. 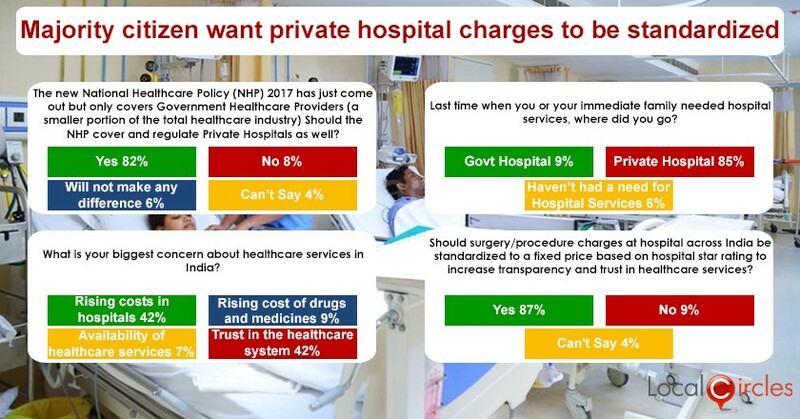 9% said availability of healthcare services and 7% said rising cost of drugs and medicines was a cause of concern for them. The National Healthcare Policy 2017 covers only government healthcare providers, which is less than 20% of the healthcare industry now. 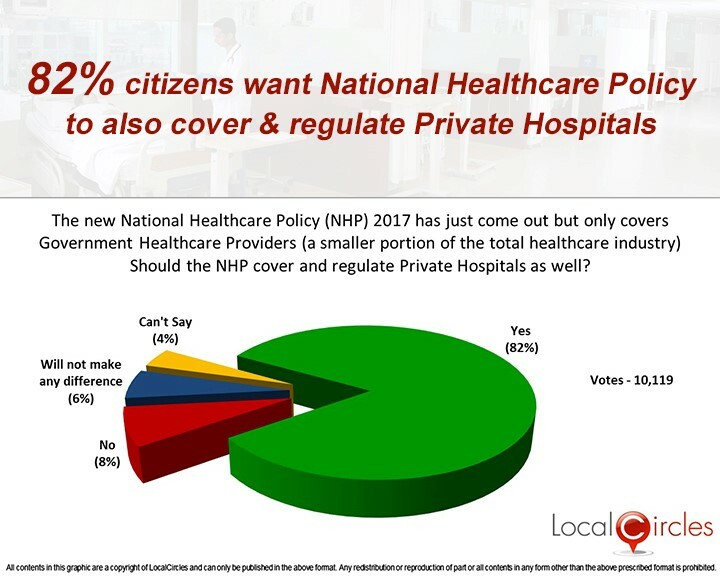 In a parallel poll, 82% citizens said that NHP 2017 should also cover and regulate private hospitals whereas a meagre 8% disagreed with it. 6% said that it will not make any difference and 4% did not have an opinion on it. 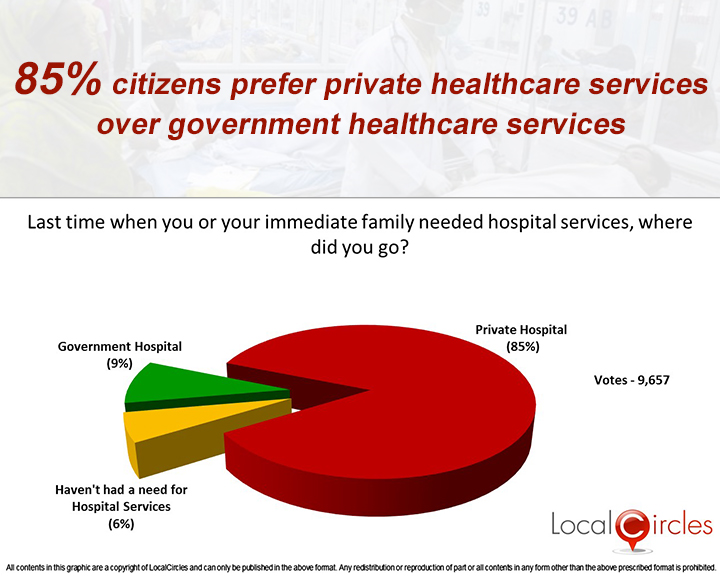 When citizens were asked where they went last time if one of their family members needed hospital services, 85% said they went to a private hospital and only 9% said they went to a government hospital.6% did not have a need for hospital services. The National Health Policy aims at increasing the use of public health services by 50% by 2025. 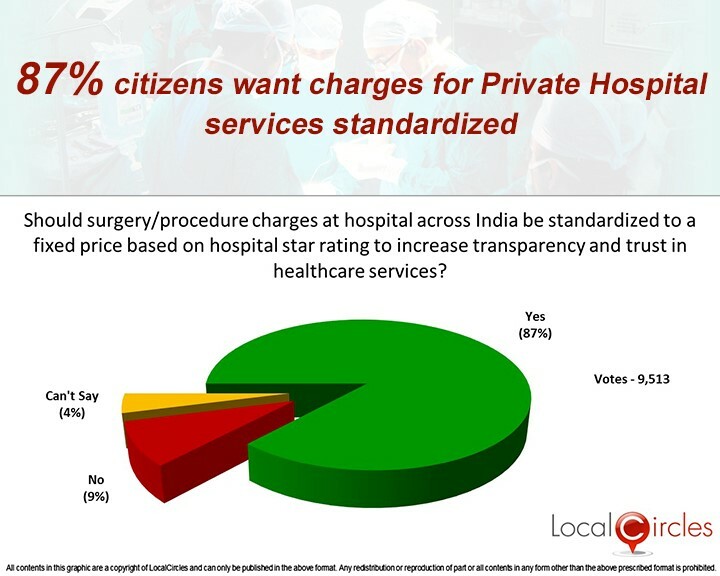 Citizens were also asked if surgery/procedure charges at hospitals across India should be standardized to a fixed price based on hospital star rating to increase transparency and trust in healthcare services, 87% replied in an affirmative, with 9% declining and 4% not being sure about it.